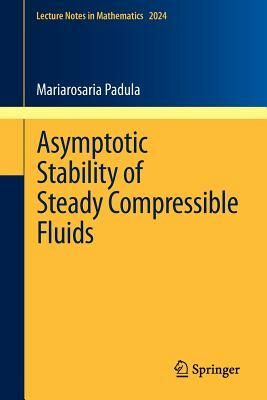 This volume introduces a systematic approach to the solution of some mathematical problems that arise in the study of the hyperbolic-parabolic systems of equations that govern the motions of thermodynamic fluids. It is intended for a wide audience of theoretical and applied mathematicians with an interest in compressible flow, capillarity theory, and control theory. The focus is particularly on recent results concerning nonlinear asymptotic stability, which are independent of assumptions about the smallness of the initial data. Of particular interest is the loss of control that sometimes results when steady flows of compressible fluids are upset by large disturbances. The main ideas are illustrated in the context of three different physical problems: (i) A barotropic viscous gas in a fixed domain with compact boundary. The domain may be either an exterior domain or a bounded domain, and the boundary may be either impermeable or porous. (ii) An isothermal viscous gas in a domain with free boundaries. (iii) A heat-conducting, viscous polytropic gas.